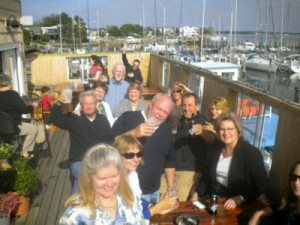 Located in the Willoughby Harbor Marina at 1525 Bayville Ave in the Willoughby Spit section of Norfolk. 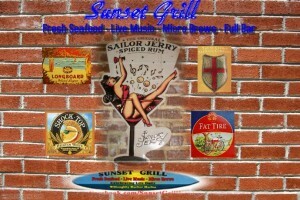 The Sunset Grill is known for its breathtaking views, fresh seafood, live music, romantic atmosphere and micro brews. A favorite of many in the local sailing community and an enjoyable experience for anyone who stops by. If you can find the Hampton Road Bridge Tunnel, you have found Norfolk's Sunset Grill. Dock your boat on one of our two slips or, take advantage of the easy access to the I64 On/Off Ramp exit 272. Sunset Grill, home of Norfolk's Best Fish Tacos is open for lunch and diner on Wed thru Sun. Enjoy the luxury of arriving by boat here at Willoughby Harbor Marina's Sunset Grill Seafood Restaurant. There isn't a better place to be than right here! The laid-back marina atmosphere is like a trip to the Florida Keys. So come by and relax, take in the view of the boats and the water and let us prepare you one of our signature SSG entrees made only from the freshest seafood. Stop by and enjoy the Good Food, Live Music and Mirco Brews on the deck overlooking the Willoughby Bay Harbor.